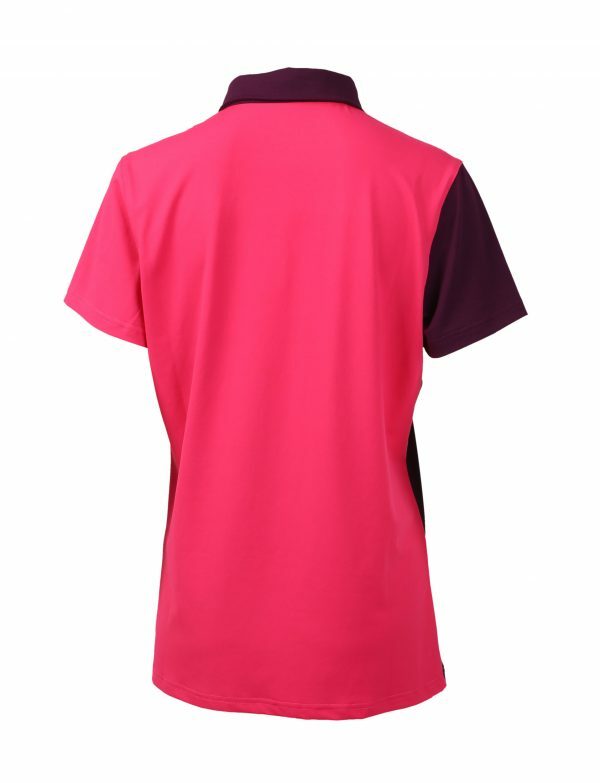 Bouldy Polo has a sparkling and colorful look that makes you stand out on the court. A polo with a beautiful and asymmetric print. Black and sparkling cosmo front, black collar and sparkling cosmo back. 88% Polyester 12% Elastane. Interlock w. DryForze. 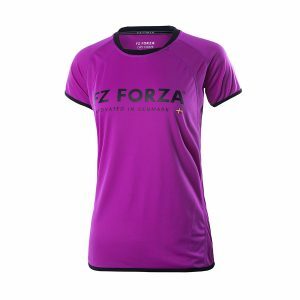 Together with tow of Forza’s amazing women players they have created a unique limited edition women’s series. The collection is designed in collaboration with Line Kjaersfeldt from Denmark and Clara Nistad from Sweden. The two players wished for comfortable and stylish clothing, which have been accomplished in the limited edition clothing series. The combination between PICKLED BEET and SPARKLING COSMO creates a unique colour combination used i different prints on the styles. 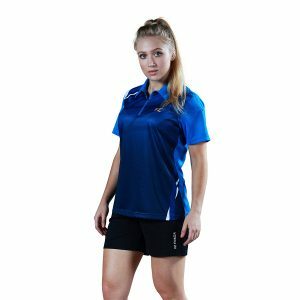 To complete the look of the polos and tees a matching skirt has been created. The Rieti skirt has a quique cut and mix of fabrics making it both super comfortable to wear and good looking. 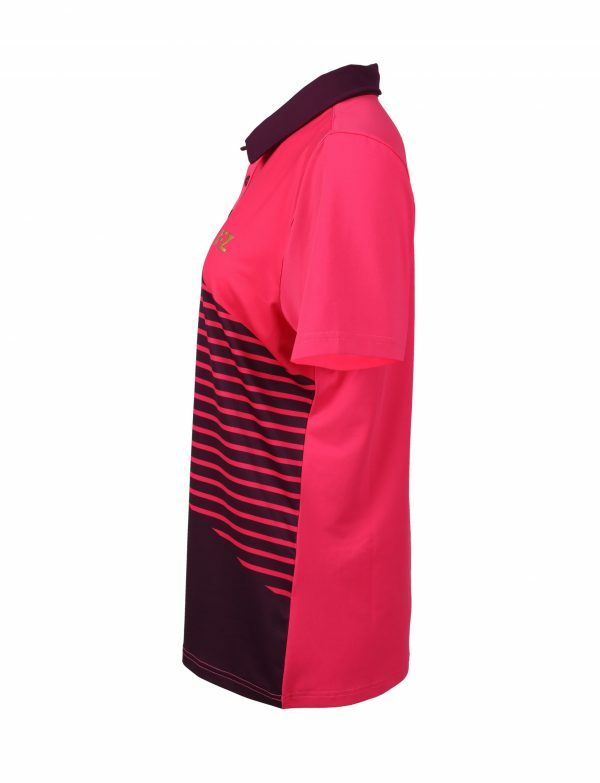 Gail Polo ladies shirt with collar, printed in black and white. 100% Polyester. Interlock w/dry forze. 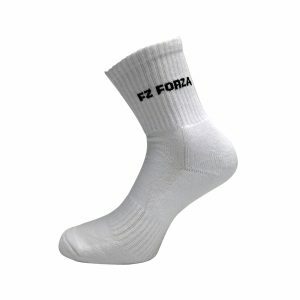 Forza Comfort long socks. These long socks offer excellent breathability and comfort securing you the freedom to feel comfortable in every match. Single pair white ankle socks. Lacey ladies jacket. Chinese Red with black hood and trim. 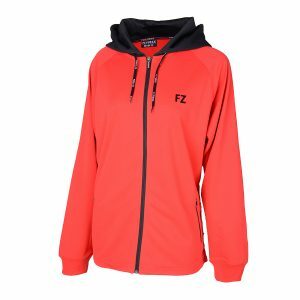 Side zip pockets, full length front zip. 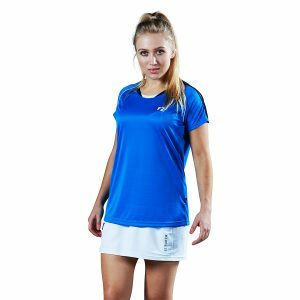 Ladies Gillian Tee shirt, electric blue body with white and black trim. 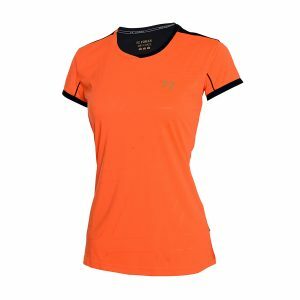 Gone Ladies Tee shirt, embossed pattern on front panel and trimmed (neck, sleeves shoulders) with contrasting colour. Available in White or Black. Miley ladies shirt. Purple cactus body with black trim. 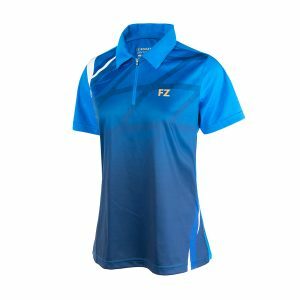 Mischa ladies shirt. 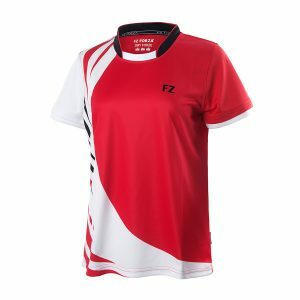 Chinese red with white flash, white and red sleeve, black neck collar. 100% Polyester. French rib. Interlock. Marie skirt for women. 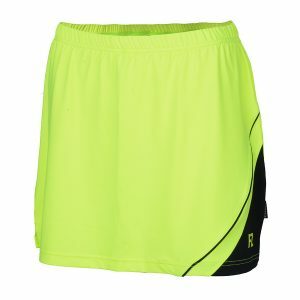 Safety yellow, with small black flash, tight fit, complete with shorts as all in one skort. If your going to stand out o court, this is the way to do it. 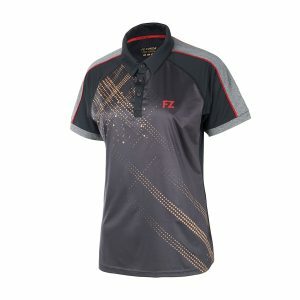 Ladies Polo shirt with collar, peacoat with red trim and gold print.